MILTON — Milton High School hosted a Career Fair today and T-Ross Brothers Construction was a proud participant. The Career Fair is organized each year by the Central Pennsylvania Chamber of Commerce. Human Resources Manager Lisa Stanchick talked with high school students from across the region about careers in construction. She explained the different career options available and the requirements needed to obtain those jobs. There was also a fashion show for students to see the different attire worn in each office. A Milton High School senior modeled what a construction worker might wear on a T-Ross Brothers Construction job site, complete with a hard hat and a tool apron. 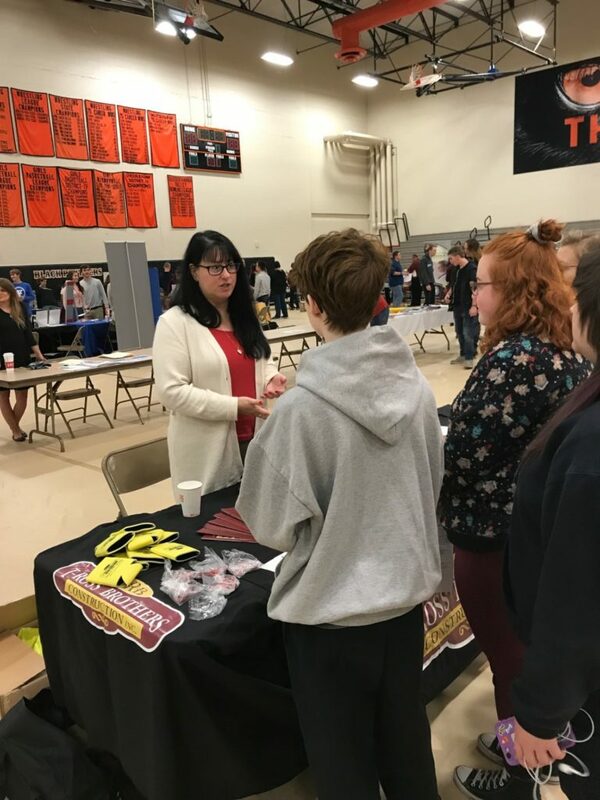 The post T-Ross Brothers Construction takes part in Career Fair at Milton High School appeared first on T-Ross Brothers Construction, Inc..